This is done through a very dynamic system of studies encompassing the Languages, Math, Science, Social Science, IT, Sports, and Co-curricular activities. 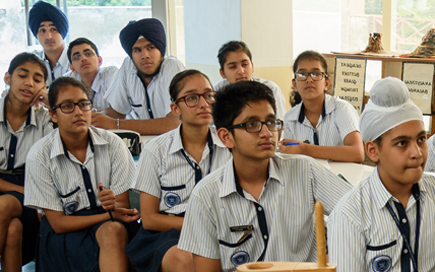 Learning Paths School follows the most progressive Indian academic structure as outlined by CBSE (Central Board of Secondary Education) Delhi. The advantages are plenty, the foremost being the fact that major all-India competitive exams are mapped to CBSE syllabus. 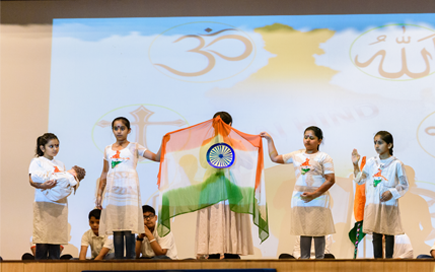 The classes conducted are inter-active in nature, where a child also takes part in the teaching-learning process. 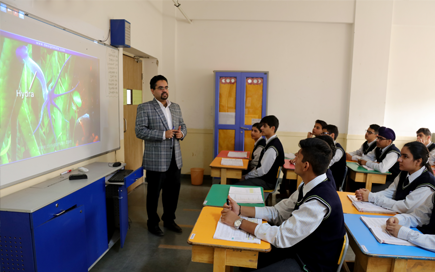 IT enabled classrooms make the lessons vibrant in nature and students are made aware of the vast store house of knowledge available even at home, on the click of a mouse. Presentations including the use of IT, quiz/competitions, seminars, field tours are some of the co-curricular activities that not only enhance learning but also develop a student’s individual skills, interests, attitudes and motivates them. These are undertaken over a period of time and generally involve collection and analysis of data. Projects are useful in theme-based tasks to be completed as classwork and/or homework in groups. They can be open ended or structured and can be both individual and group projects. 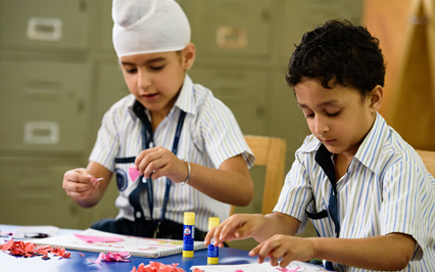 The School follows a Continuous and Comprehensive Assessment System for children. Under the system, student’s marks are replaced by grades which will be evaluated through a series of curricular and extra-curricular evaluations along with academics. The aim is to decrease the workload on the student by means of continuous evaluation by taking number of small tests throughout the year in place of single test at the end of the academic program. Only Grades are awarded to students based on work experience skills, dexterity, innovation, steadiness, teamwork, public speaking, behaviour, etc. to evaluate and present an overall measure of the student’s ability. This helps the students who are not good in academics to show their talent in other fields such as arts, humanities, sports, music, athletics, and also helps to motivate the students who have a thirst of knowledge.